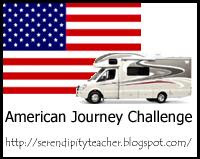 Serendipity Reviews: American Journey - Alabama Summary. American Journey - Alabama Summary. Many of you accompanied me on my America Journey last month as I travelled virtually through Alaska. However few of you will realise that I made a previous stop in Alabama long beforehand when I was still merely a blogspot. So I thought it would be good to have a summary of the posts about the books I read which were set in Alabama. When I read about Alabama, it was set over a longer period and the books did include some non fiction. So here is the list of books I read for Alabama. Glad we came across your blog, what lovely diversity! Oh fried green tomatoes I didn't know that was a book. I love the movie. Need to go read that.